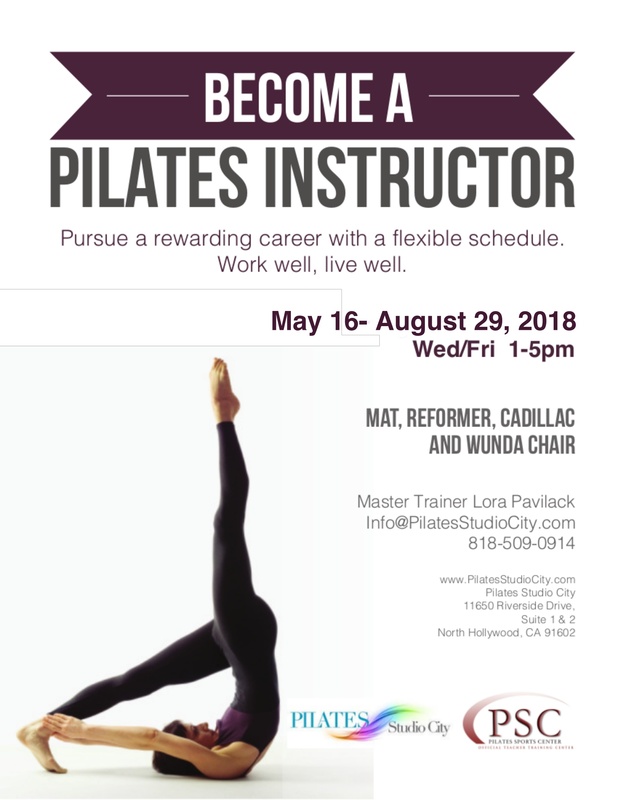 This summer Pilates Studio City will again be hosting its Teacher Training Program, and I’m excited to be co-teaching again with my master trainer, Lora. I graduated from the program nearly 9 years ago under Pilates Studio City owners Lora Anderson and Nikki Alstedter. I immediately entered full-time work as a Pilates instructor after many and varied lines of work. And I quickly realized that I finally found my career and vocation. I have never found such fulfillment in any other line of work! My work as a Pilates instructor continues to challenge and inspire me. I have yet to tire of it. Each year I see a new class of graduates complete the program. I never tire of seeing their excitement and enthusiasm for their new-found role as an instructor. And I never tire of helping them find even greater fulfillment in their work with a few tips and guidance. 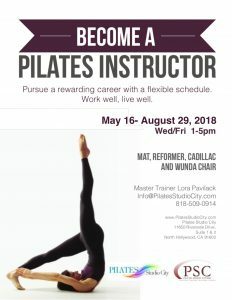 It was this unexpected role as team leader that motivated me to move forward and become a Master Trainer for the Pilates Sports Center Teacher Training Program. Nine years ago I found a new level of fulfillment in helping my clients find greater joy and movement in their bodies. Since then I have helped my co-workers find greater joy in their work. And now I keenly look forward to guiding my students to discovering their own potential for fulfillment and joy in their bodies and work as they gain a greater understanding of the Pilates method in the upcoming teacher training program! Click here for more information and/or to download an application!